If you’re on a quest to find high-quality auto care service in lovely Apple Valley or Victorville in California, it could be your lucky day. Road Runner Complete Auto Care is a leading Apple Valley-based business that specializes in all types of in-depth auto services. If you believe that your vehicle may be in need of any type of professional repair work, you can count on our company fully. 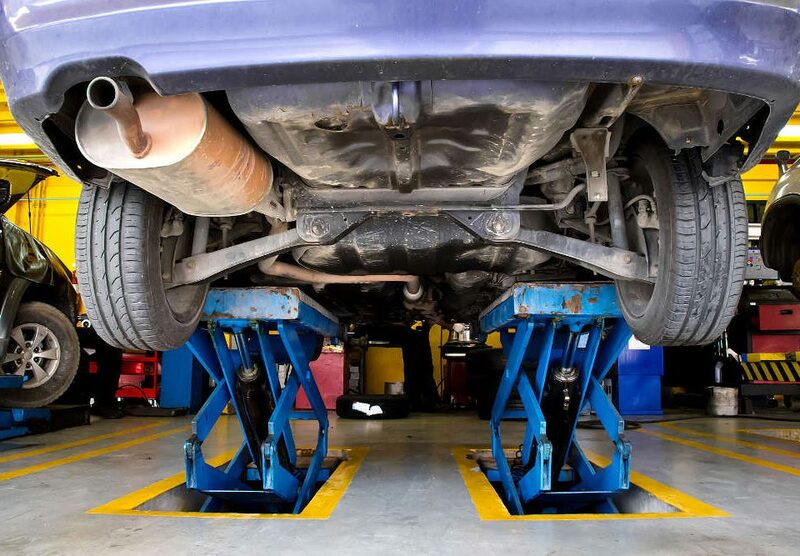 Our staff members are highly experienced, trained and devoted auto mechanics. They’re enthusiastic about the auto care services they offer our customers. If you own a vehicle in Apple Valley or Victorville and need to get it repaired, you can call us at Road Runner Complete Auto Care whenever you want. Vehicle problems can be seriously hazardous to drivers, passengers and pedestrians alike. If you’re worried about your vehicle for any reason, prompt professional attention is imperative. A car that requires repair work may make its situation obvious. If your vehicle’s check engine light flashes, that often signifies a problem. 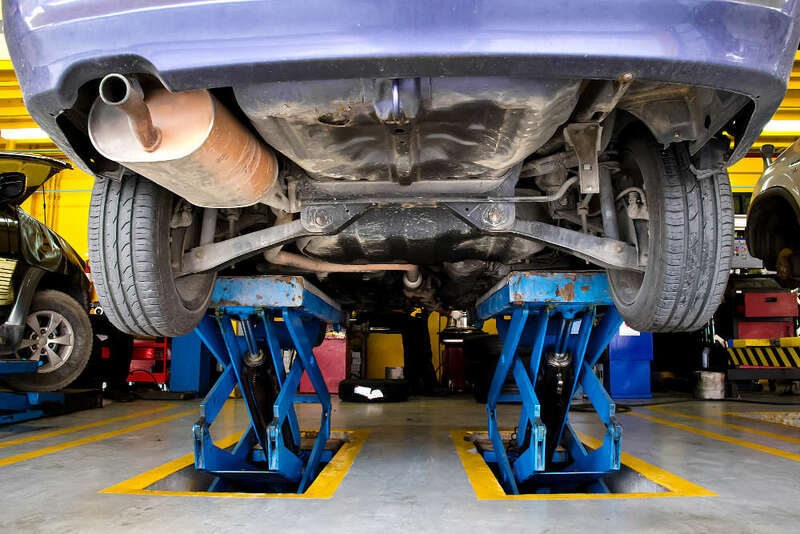 Other things that frequently signify big problems in vehicles are inordinate exhaust smoke levels, the presence of smoke below hoods, fluid leaks, incessant transmission difficulties, vibrations and piercing squeaking sounds. There are of course many other things that can possibly denote auto problems. If your auto is behaving suspiciously in any way, it’s time to call Road Road Complete Auto Care for an appointment. We cater to the auto care needs of many satisfied Apple Valley and Victorville vehicle owners. 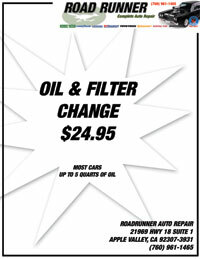 Road Runner Complete Auto Care is a reliable local business that focuses on incredible customer service. Our mechanics all treat our customers with immense respect. They’re detail-oriented and meticulous professionals who work hard to please customers. If you need any kind of auto care in Apple Valley or Victorville, reaching out to our business should be a lovely experience for you. Our mechanics are all courteous, polite, pleasant and skilled individuals. Our company representatives are all just as terrific. Road Road Complete Auto Care is a great company choice for people who are searching for inexpensive auto care service. If you need car repair work but are reluctant to spend much, you can count on our business. Our auto care services are a fantastic mix of affordable and top-grade. If you need dependable auto care service in Apple Valley or Victorville, contact our prominent business as soon as possible to book an appointment.